Any other circus lovers out there? 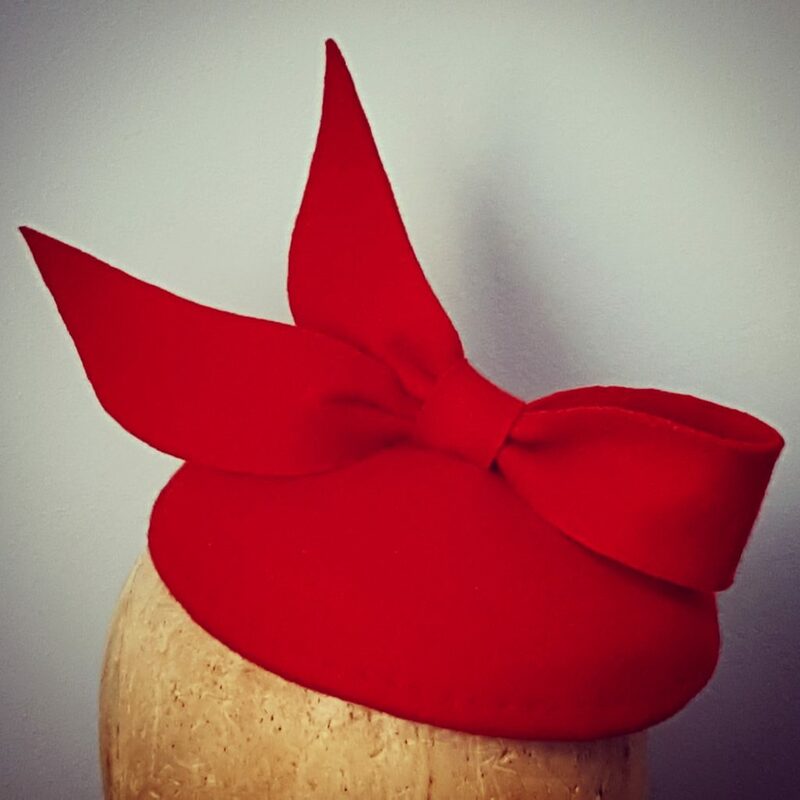 This little hat was christened “Marlena” as it was inspired by the main female character from Sara Gruen’s novel, Water for Elephants. I love the gold glittery shoe I used but, I am especially pleased with the striped tent pole and pennant bunting draped over the shoe. Sparkly, light gold tulle, flowers, pearls and braided trim finish the embellishments. And what would a circus themed piece be without stripes?! 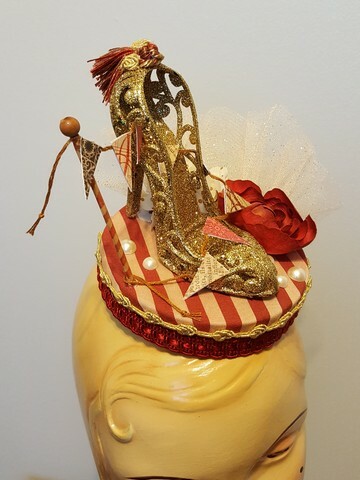 This newest headpiece creation is now my all time favourite one to have come out of my studio….ever!!! I am totally obsessed with the dusk/midnight garden colour palette I chose as well as how the skull ultimately came out. It is very elegant and the touches of gold in both the floral details and painted accents on the skull add just the right amount of luxe. Can I also just state the obvious? Drama, drama, drama! How fabulous would this be for a masquerade party or ball worn with an evening gown or Queen of the Night costume? The headpiece is worn headband style and is an extremely comfortable fit. The overall weight is very light as the skull is constructed from styrofoam. 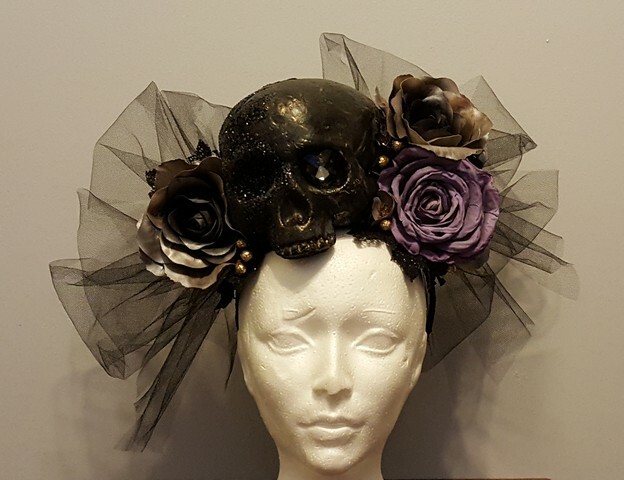 The skull was carved and sanded to perfectly shape to the headband and the wearer’s head and was painted black and partially embellished with black glitter. Black tulle and sparkling black textured leaves were the finishing touch. 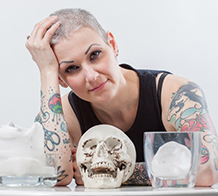 It does not show very well in my photo but, anyone happen to notice the sparkle in my lovely skull’s eye….a smoky heart shaped crystal!